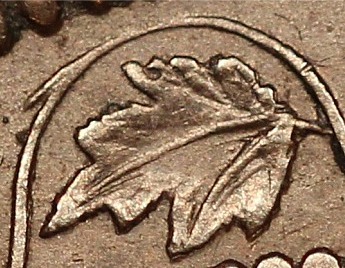 Reverse Die E24 was discovered by Ed Reny. 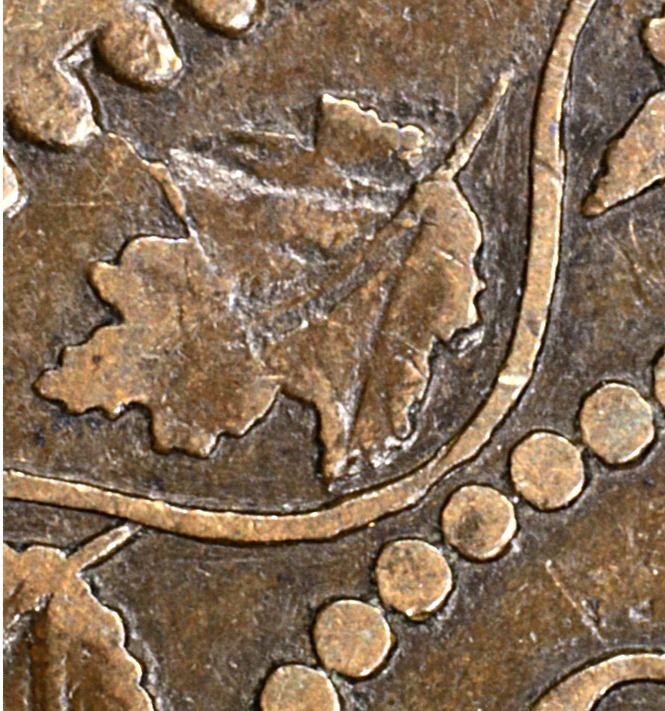 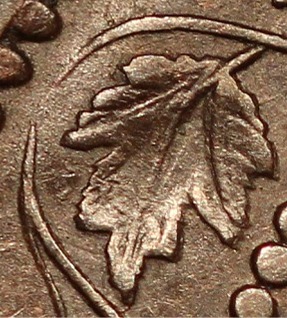 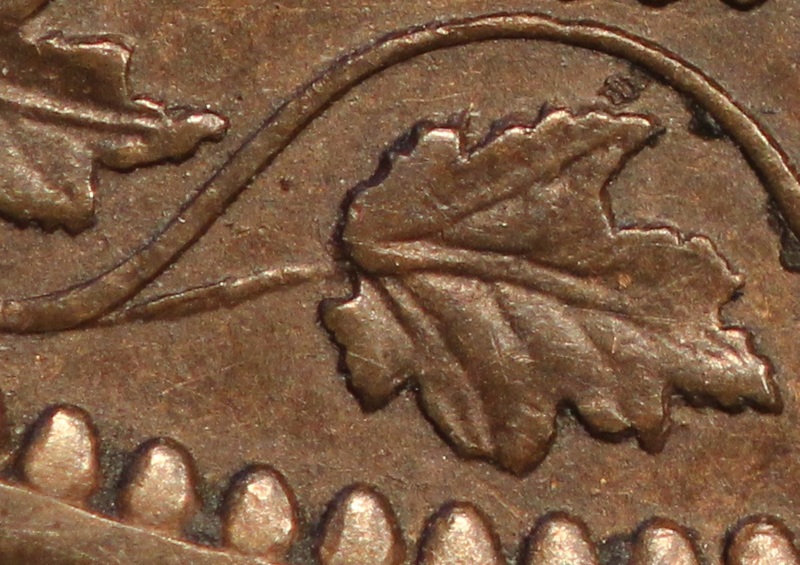 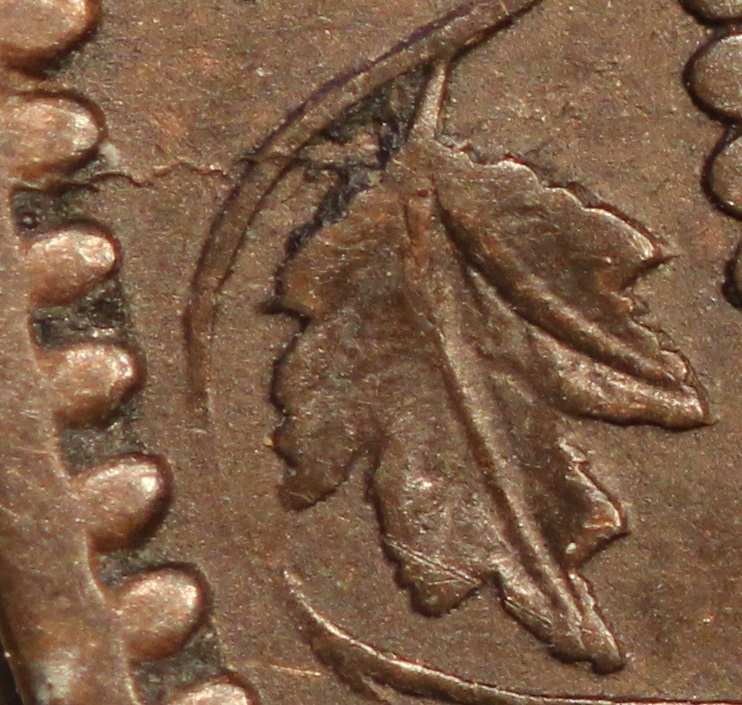 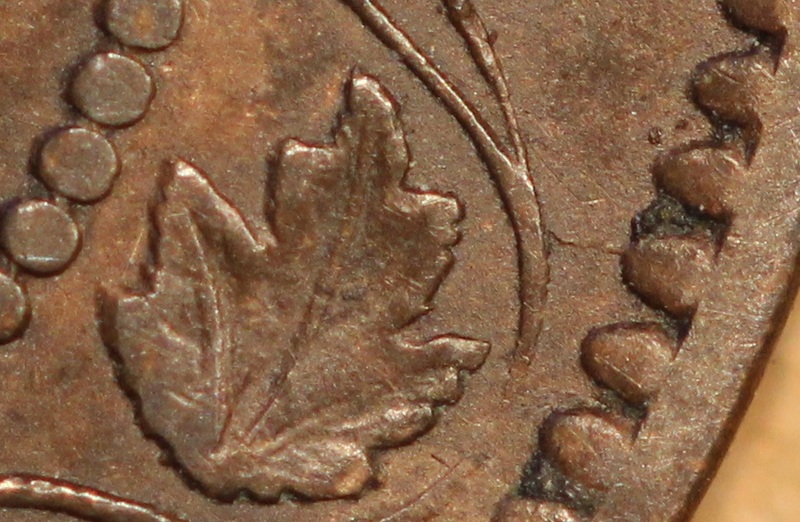 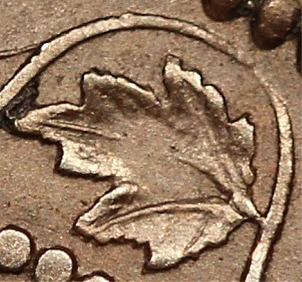 Besides the die cracks (if present), the three over-polished leaves (see photos below) may help in identifying this reverse. 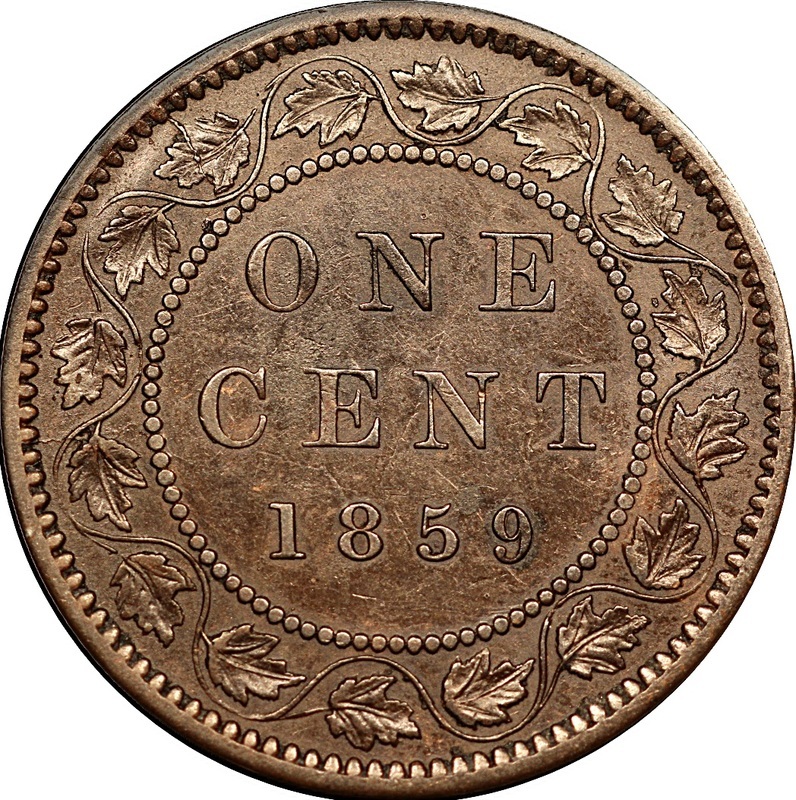 No significant clashes on this reverse.